Around the middle of April, there’s a smell in the air that is undeniable. 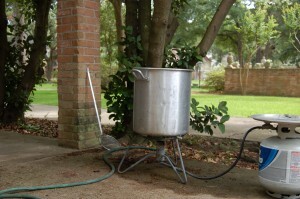 It’s the smell of crawfish boiling and spices wafting into the spring air. 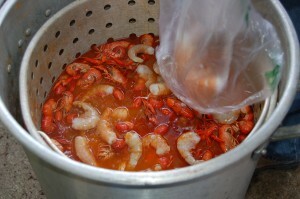 My husband is a cajun and loves to boil crawfish every year. It’s a tradition! 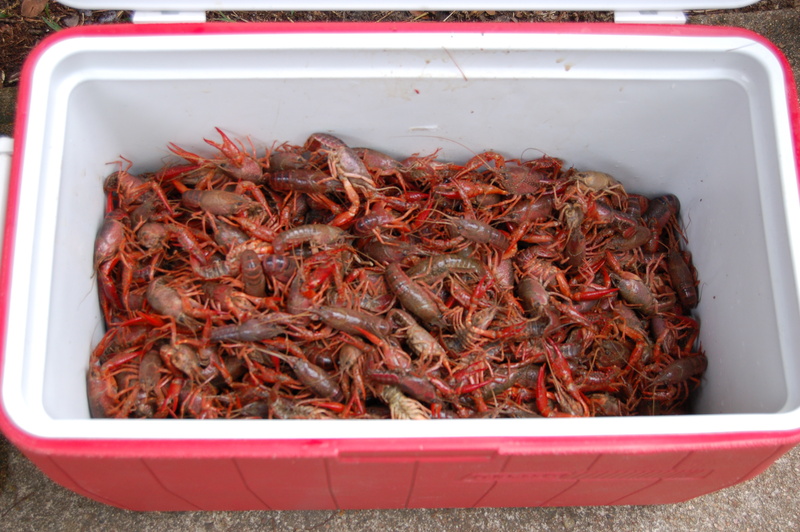 So last weekend, we grabbed a 20 lb bag of the mud bugs and set out to enjoy an afternoon of boiling. 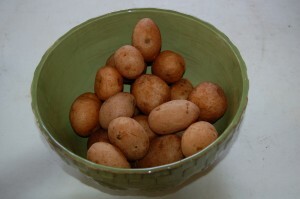 Of course, a boil is not complete without potatoes and the proper seasoning. 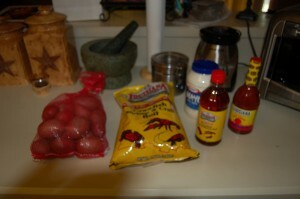 We use a whole bag of crab and crawfish boil, 1 bottle of liquid boil, 1 container of salt, and 1 large Louisiana brand hot sauce. Sometimes we add corn to the mix, but it really tends to just soak up too much spice, so we avoided it this time. 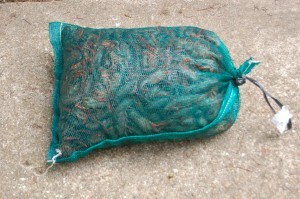 We did however add about 1 lb of shrimp. 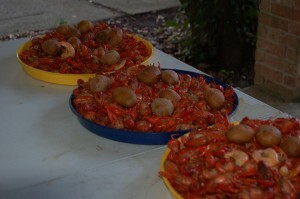 The afternoon was so much fun and the final spread was delicious. We topped it off with some Texas music playing on the radio. 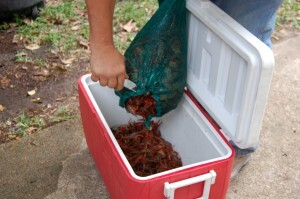 Overall a great way to spend an un-seasonally cool afternoon in May. My son, who loves crawfish even more than he loves ribs even got involved. 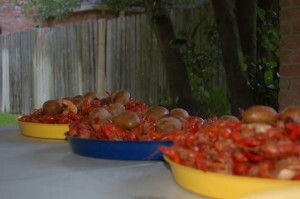 He helped my husband every step of the process and even spared ONE of the crawfish before it got cooked so he could put it in his turtle tank. 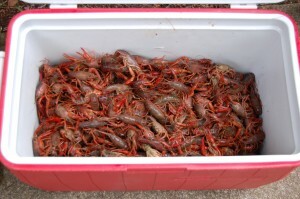 That “pardoned” crawfish is still loving life in his new home.